to spin as you turn the handle. Creating a perfectly smooth finish. Our swaging heads have a ‘round fitting’ ensuring the heads do not spin, creating an accurate swage. There is no flaring tool in the market with a diamond cone that can do this. allows fast switch from flaring cone to swaging heads. Ensures tube is set at the correct position for all sizes. 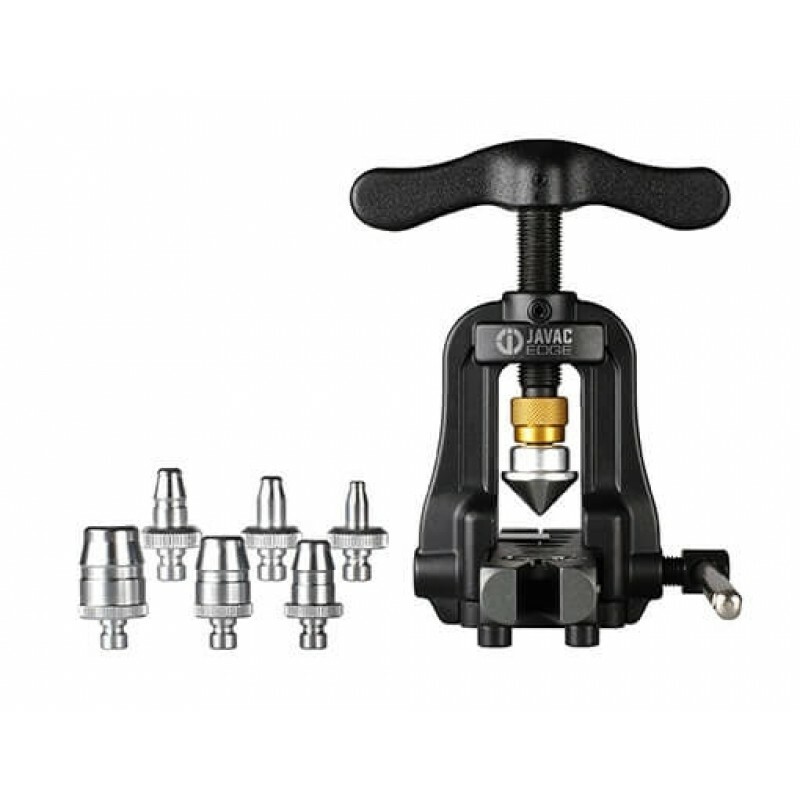 Provides accurate alignment when switching between different hole positions on the flaring bar.